In this gorgeously-crafted utopian saga, five friends must find the courage to change the course of the future . . . Mori and her friends live a normal life on Firefly Lane in their utopian community, Old Harmonie. In a world this safe and perfect, they've never had to question anything . . . never had to wonder about how their lives came to be. Until a new girl named Ilana moves in. She's so perfect that Mori and her friends are curious. Where exactly did Ilana come from, and why does she act so strangely sometimes? 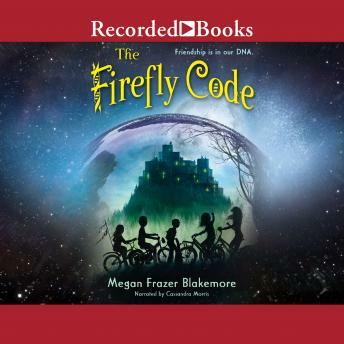 When Ilana's secret is revealed, the kids on Firefly Lane must decide: is it finally time to start questioning the only world they've ever known? In a stunningly imaginative story, critically acclaimed author Megan Frazer Blakemore takes readers on a journey with five friends--new and old--that will have everyone talking about not just what makes people human, but what makes them true friends.